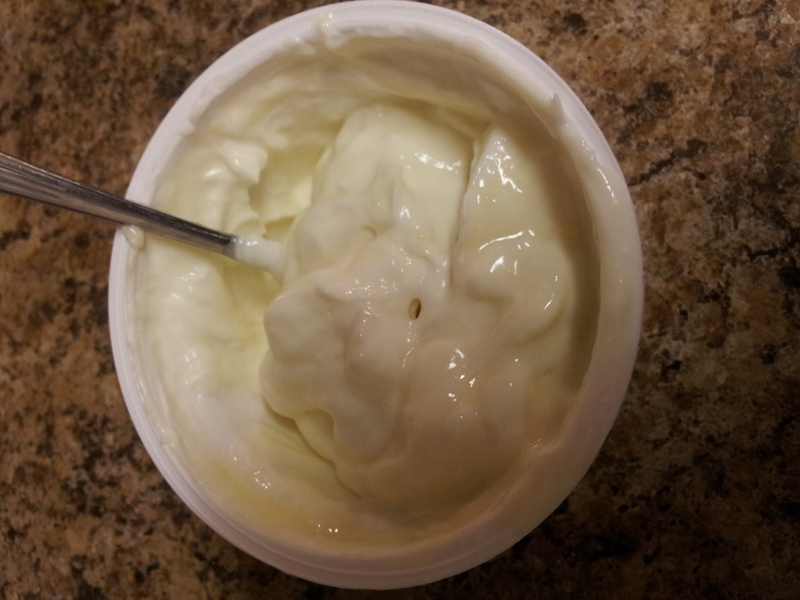 Want to try Chobani for yourself?? 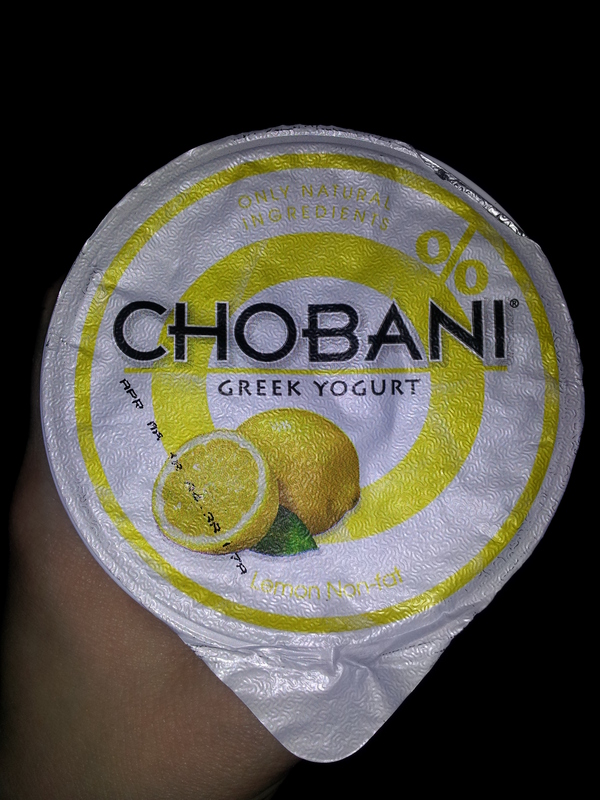 Have you had Chobani Greek Yogurt before? Well as you can see from my previous posts, I am LOVING all the flavors. I was lucky enough to have Ashley and the Cho Team send me a case to try. Now it’s your turn!! One lucky winner will receive their very own sample case of Chobani from Ashley and the Cho Team!!! Remember to leave a comment for EACH entry. Giveaway closes 3/18 at 12NOON CST. Open to US Residents only. The winner will be chosen via Random.org and notified by email. They have 48 hours to respond, or a new winner will be chosen. Good Luck to everyone!! Yay!! I do not eat a lot of pineapple. Not because I don’t love it…but because my little sister Jamie is deathly allergic. Like can’t even have a stick of Juicy Fruit allergic. Most people don’t know that everyday foods contain pineapple. When you look on the label and see “natural flavors” that typically includes pineapple. It is used as a low-cost, but effective and yummy natural sweetener. Jamie has not always been allergic, but like many people her allergy developed over the years. She must avoid all contact with pineapple and natural flavors. Things like canned baked beans(contain natural flavors),ketchup, yogurt, sodas, gums and candies, and most juices(unless 100%) could kill her if she were to ingest enough.Seriously go through your pantry and fridge and look at the labels. Things you wouldn’t even expect, she can’t even touch. Also, her significant other Payne must be careful not to ingest any pineapple or even a kiss could send her to the hospital. Typically within 3-4 minutes she will start to feel her tongue tingle and her lips and throat begin to swell. Such a bummer too, because growing up as kids we used to eat pineapple all the time. Coming from East Texas, pineapple upside down cake was a kitchen staple. When Jamie developed her allergy we were still living at home with our Mom, so we cut pineapple completely out. Since moving out on my own and starting my family I have not bought much at all. Sometimes it is in the mixed fruit bowls I buy for Jp, but I definitely dont’ buy a whole one or anything. 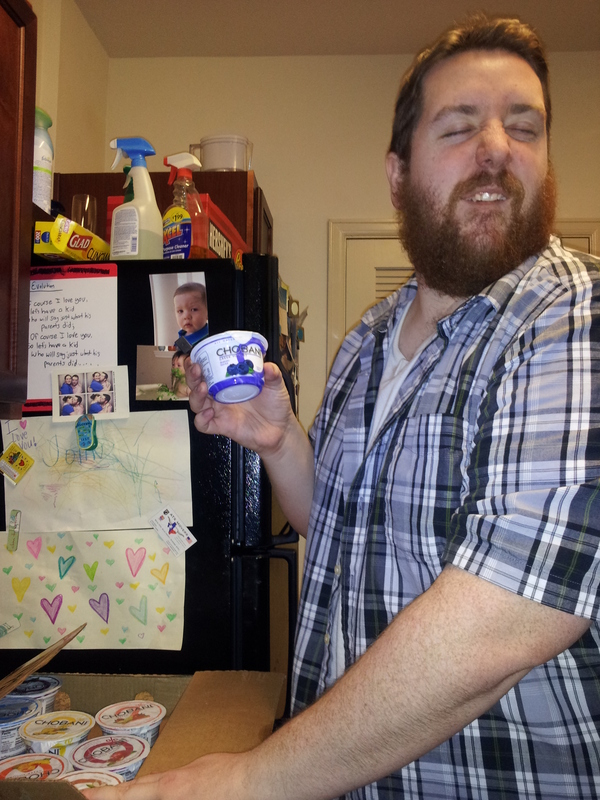 That’s why I was so excited this morning when I pulled out my ‘gurt. I have to say (and sorry Jamie) I FREEKIN LOVE PINEAPPLES!! I forgot how much I missed those prickly little things!! 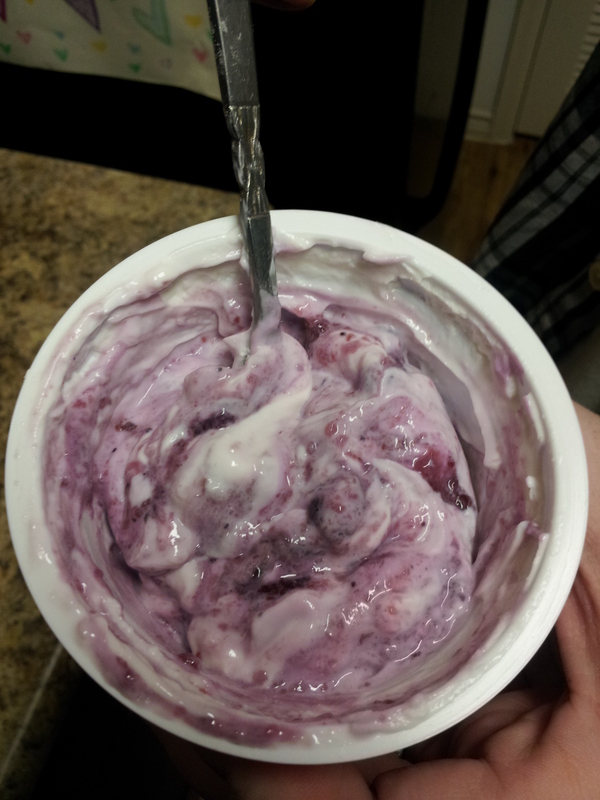 Just like all the awesome Chobani flavors there were huge chunks of real fruit on the bottom. 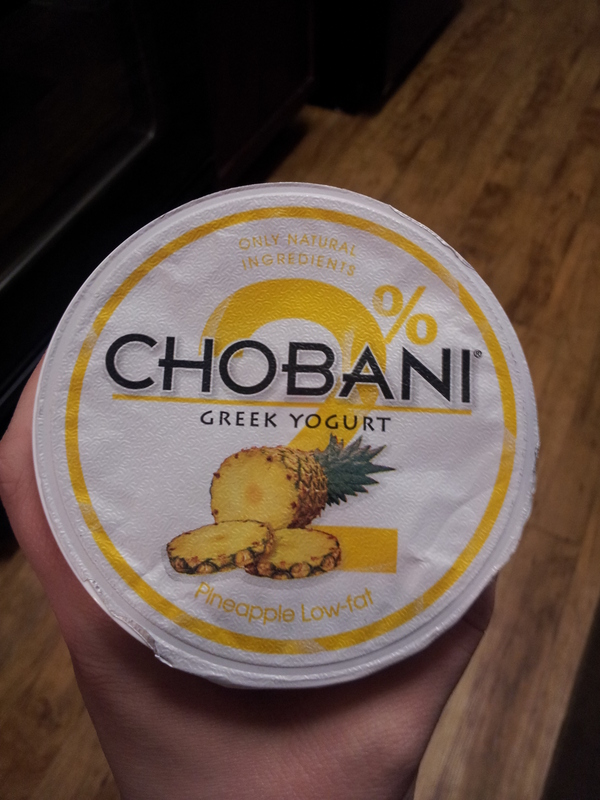 I have had several people say that when I tried the Pineapple it would be my favorite…and their right!! This would be so good on a slice of pineapple upside down cake!! Double yum overload!! I am also VERY excited to announce I will be holding a Chobani Giveaway!!! 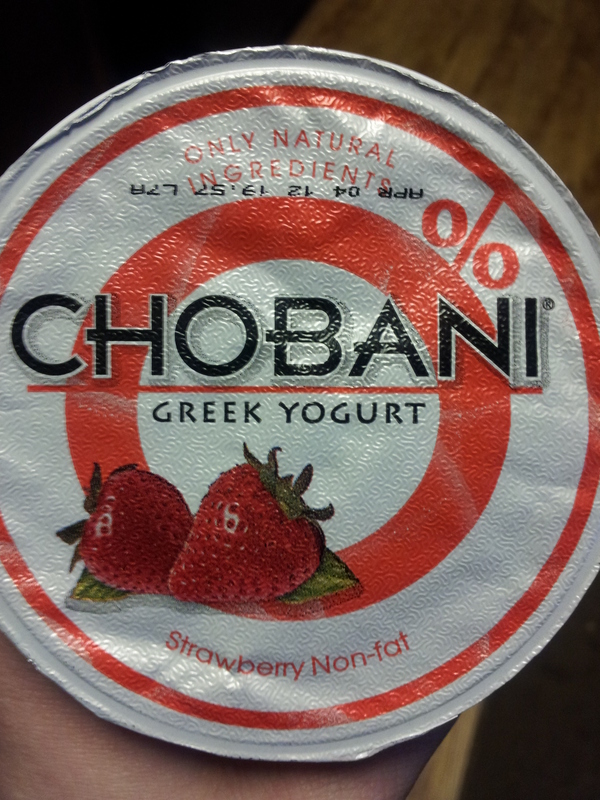 One lucky winner will receive their very own case of Chobani Greek Yogurt. 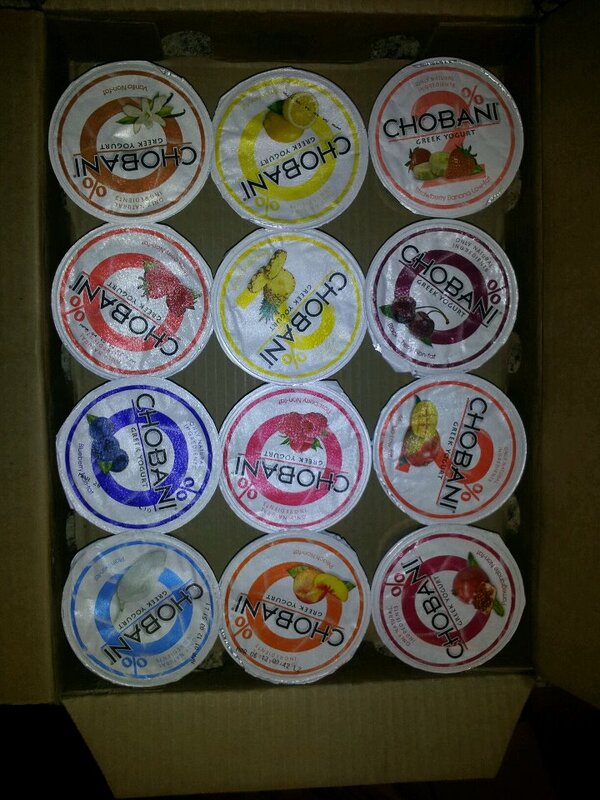 Thats 12 awesome varieties to try, all thanks to Karen and the awesome team at Chobani. Thanks so much guys and gals!! Keep an eye out for the rules and ways to enter which will be posted this week. As always remember to share with your friends and family. The more entrants the better!! I’m excited to find out what my morning surprise will be tomorrow!! I don’t know what the expression on his face was, but it makes for a great picture!! There was a TON of actual blueberries and John loved it. I had a bite, and seriously delicious!! This makes for an awesome breakfast, and the 6oz servings were enough to fill even the hungriest of husbands!! My morning pick was Strawberry!! I, like my Mother have always been iffy when it comes to Strawberries. She did not like them my entire childhood, but has recently started eating them again. She puts them on salads for a little sweetness. It’s actually really good!! 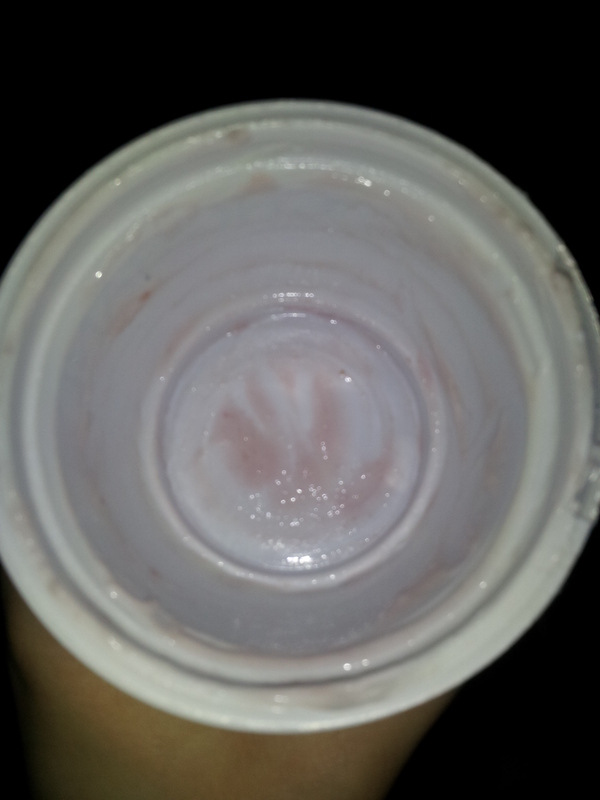 That was the BEST Strawberry yogurt I have ever had. I was not expecting to like it, but I wolfed it down. I mean it was savage!! Thus no time for any other pictures!! I have found my favorite flavor so far and it’s going to be hard to beat. Who know’s though…tomorrow’s blind choice could change my mind. 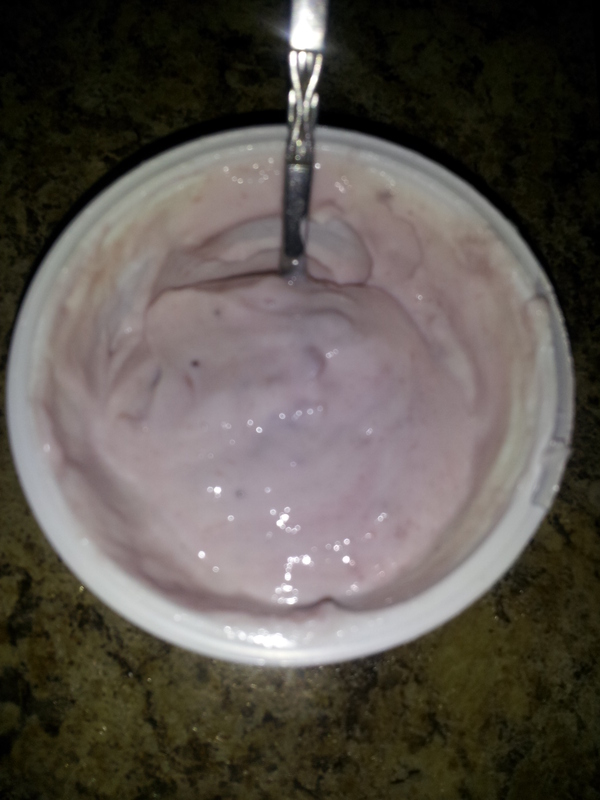 I am loving the Chobani in the morning. It gives me an energy boost to get started for the day, and with a toddler that is much-needed. Plus it is fun getting up in the morning knowing there is a yummy surprise waiting for you!!! So this morning choosing My flavor was super tough. I finally decided to close My eyes and just pick a cup. I actually look a bit crazy in this picture…that’s just me also trying to stop Little Man from getting up on the kitchen table. Ahh morning picture time can be so eventful!! I can’t wait till tomorrow! I am going to use the close My eyes and grab method again!